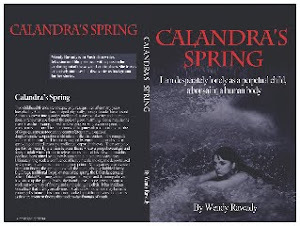 Calandra's Spring book: WWCD? What would Calandra do? I am writing my next Calandra adventure and, now that she is an adult, still with a child's perspective, it is interesting to plot out her actions and reactions to the plot-lines. What is the moral standpoint of a woman/child? In the meantime, buy book one and try to make it a best-seller. The best time is NOW while it is free on promotion. Best of luck on your WIP! New follower here. I’m enjoying reading my fellow “A to Z”ers. I look forward to visiting again. Thanks Sylvia! It is a fun thing, this A-Z stimulus package! I have been wading through all the posts too and there is such inspirational variety. Feel free to download my book before the free promo runs out tomorrow and tell your friends. My ratings slipped last night and I wanted to push it into the top ten of the genre 'contemporary fiction'. Heeeeeeelp!